I’ve always felt that Gail Jones is yet to receive the recognition she deserves. This is her sixth novel and it is, I believe, a masterpiece. It is a beautifully constructed novel that builds slowly to its horrific and violent conclusion. The title comes from a short story by the Russian writer Vladimir Nabokov. 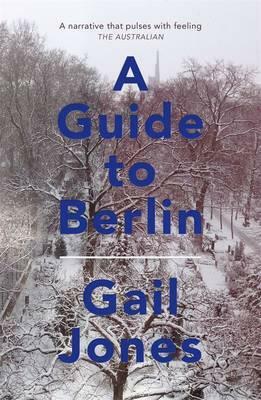 In Jones’ novel, a young Australian woman, Cass, arrives in Berlin in the middle of a cold winter. She’s not exactly sure what she’s there for or what she wants to do with her life. She has come to be fascinated by the life and work of Nabokov. Over the course of six evenings, each member of the group, in homage to Nabokov’s autobiographical novel Speak, Memory, reveals something deeply personal, something deeply hidden. Separately, Cass explores relationships with each member of the group learning about them, about herself and about Nabokov. Marco has crazy theories about everything, says Gino; ‘Don’t trust him,’ he implores Cass, aware that she is attracted to Marco. In the background is the cold, ice-bound city, dangerous and with hidden secrets. The bonds that form as they tell their stories become stronger as they reveal themselves, but even those revelations conceal mysteries. Each ‘speak memory’ is complete in itself, and each is intensely interesting and compelling. This is a great novel with complex, fascinating layers upon layers; I can’t recommend it enough.